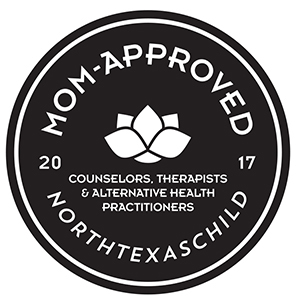 New You | Highland Village, TX | Trinity Wellness Center, P.C. New Year. New Trinity. New You. With health care laws, insurance plans and coverage, as well as our individual care needs changing, Trinity Wellness Center, P.C., recognizes the need to reevaluate ways to bring the entire family affordable, yet quality, care. We have taken the time to research some of the new technology available to help optimize health in minimal time increments, as well as some of the active, functional movement techniques to enhance the VSC (vertebral subluxation complex) correction, improve posture (despite the “text neck” and “slumping” habits), improve overall balance and coordination, and just overall sense of well being. Although we will still be offering acute care plans for pain and injury, and our comprehensive case management plans for chronic illness and disease patients, we will now be offering “wellness club” plans for individuals, families, and one just for kids! These wellness plans will include monthly nutrition classes, exercise and proper form courses, grocery shopping with the doc, stress management classes and more! We will also be bringing in new equipment including whole body vibration machines for increasing circulation, improving bone density, full body muscle contractions, improved balance, and much more. We will add wobble chairs for improved low back and hip muscle activation and function, and new Pettibon curve and posture restoration treatment protocols to enhance your health. Remember, we also have a licensed massage therapist on staff at TWC offering $30 half hour massages with a full hour at just $50 for our patients. We also have a highly reputable, knowledgeable and experienced licensed acupuncturist and Oriental Medicine practitioner on staff! We plan on adding not just more years to your life, but more life to your years. Join us this year as we educate, encourage and empower all of our patients and wellness club members to reach their optimal wellness potential! Contact us today to find out how Trinity Wellness Center, P.C. can help you achieve your health goals in 2014.